It was the first of their albums to reach number one, toppling the Beatles’ ‘Abbey Road’ in the process, and staying on the LP chart for a total of 138 weeks. 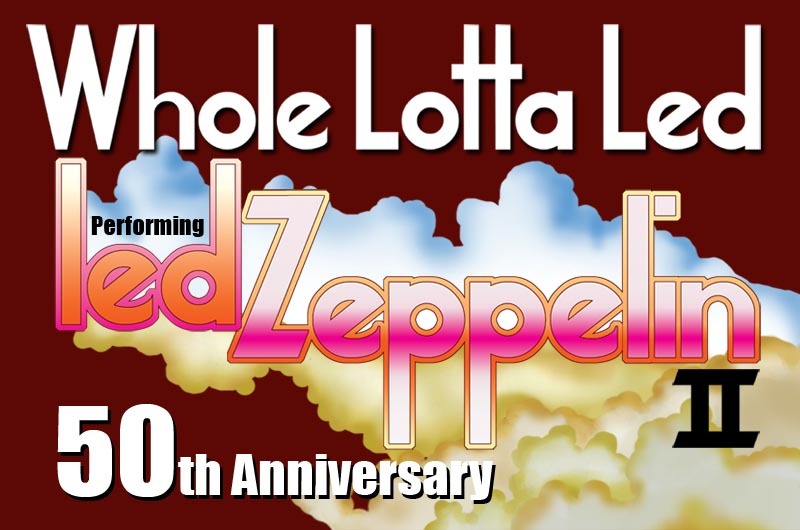 During 2019 Whole Lotta Led will be performing a series of Led Zeppelin II shows to celebrate this incredible album. The first half of these special shows will consist of a selection of songs from Led Zeppelin’s vast back catalogue. The second half will feature the whole of Led Zeppelin II played in the same sequence as the original LP. Don’t miss this special celebration of this timeless album. .